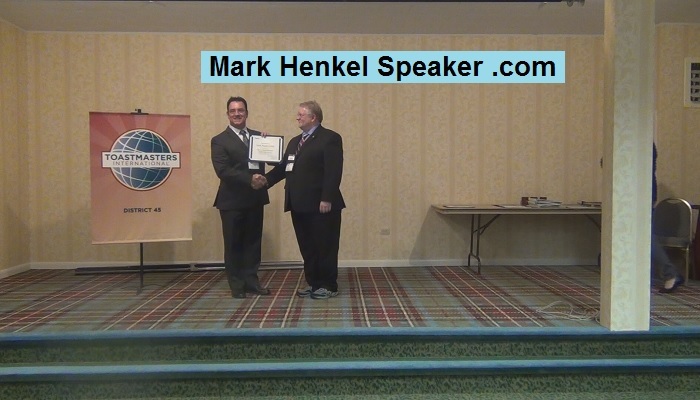 Over the weekend event on November 3-5, 2017, I was presented with a couple of different awards at the 2017 District 45 Toastmasters Fall Conference at the Lake Morey Resort in Fairlee, Vermont, US. 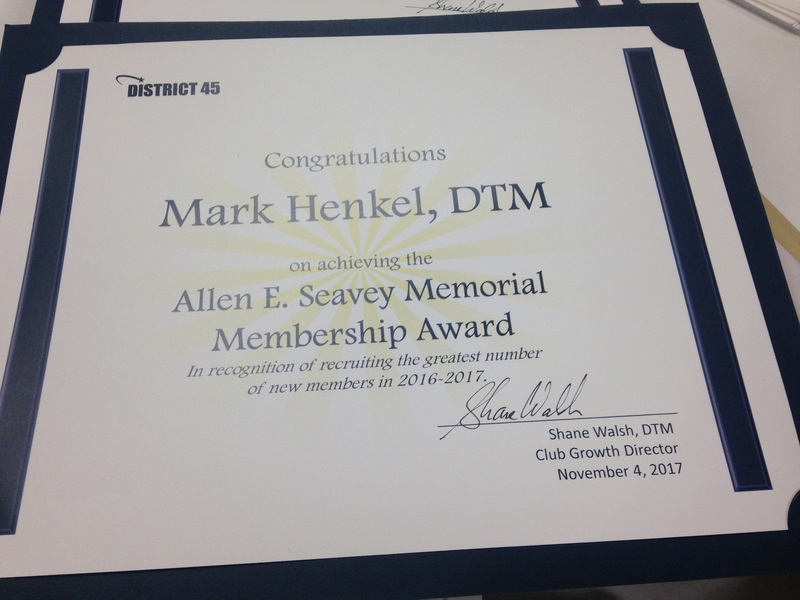 In addition to earning the 2017 “Sponsor 5 or more” Toastmasters Award, I also earned the rare, prestigious award, District 45 Toastmasters “2017 Allen E. Seavey Memorial Membership Award.” This award was for sponsoring the most members throughout the previous fiscal year of 2016-2017. This was actually my THIRD time earning this award, having also earned it previously in 2012 & 2016.